Following the departure of Tanya Donelly, the breakup of The Pixies, and the return of Kelley Deal to the fold, The Breeders' hit the alternative big time with their second record, and its hit singles "Cannonball," "Divine Hammer," and "Saints." 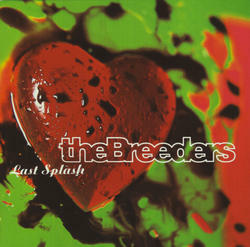 The last Breeders album of the 1990s, as Kelley suffered and recovered from drug addiction and Kim found a new outlet in The Amps, Last Splash went platinum and brought Kim Deal’s massive song writing talents out from behind the shadow of Black Francis. On red vinyl!